What is this power narcissists, our abusers hold over us? Why do we feel such a pull towards them? I’m not talking about when we first meet them. When they sweep us into their orbit and bomb us with love with such an intensity. 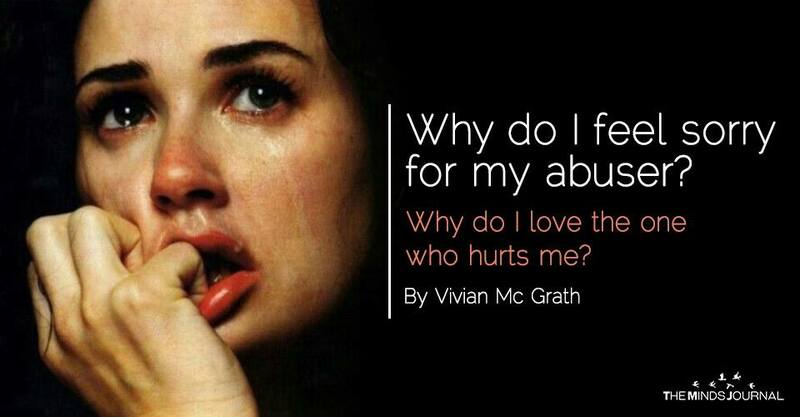 No, why is it we still feel such a pull towards them even after abuse? After violence, when they flood us with their tears of remorse, why do we feel sorrier for them? Why do we care more about their pain than our own or the abuse they’re just dished out to us? If we’ve found the courage to leave them, why do we feel sick to our stomach over them? Guilty about what will happen to them now we’ve left them? Why do we long for the person who has hurt us to make us feel better again? I’ve been speaking with some fellow survivors and victims of domestic abuse of late. They tell me they are struggling with empathy and have asked me to talk about it. It’s a battle I know only too well. I know how hard that internal struggle is. One says, it’s when they see their ex (having not seen them for a while). When they are winning in court and their ex is looking a shell of himself. It’s confusing, she says. Why am I feeling so sorry for him? Despite the years of abuse he put me through? That is when her strength starts to fail her, she tells me. The time she starts to become unstuck. I recall that pull towards my ex. Feeling so sorry for him, even after he could have killed me. Putting his needs and feelings above my own when he said how sorry he was, how much he loved me. I felt guilty for leaving him, when I finally did so. What would happen to him? I’ve abandoned him when he needed me! Forget about the fact I now faced life as a young, single mother. My own struggles and pain were beside the point. Our empathy is one of the main reasons they’re attracted to us. Why we are with them in the first place. Narcissists lack empathy. They don’t understand the implications of their actions on others. They never take responsibility for them either. They need to feed their inflated sense of self, or entitlement and their ego off others. And the person they prey on is someone whose capacity to empathize with others is so great. To the point where they put the narcissist above themselves. We do this because we have low self-esteem. With little self-worth, we’re not good at setting healthy boundaries. Or caring about ourselves first. So, we are ripe for manipulation by them. We believe them we they tell us their behaviour is our fault. We put their needs above our own. Narcissists detect we have an inner void of shame that tells us we are not good enough. It comes somewhere from our childhood. They know exactly what buttons to press. The ones that wound that damaged inner child. Also, the ones that soothe us and make us feel special and good again. It seems quite jarring to read an article about why an abused person (in this article…women) feel for their abuser and see ads from “BE IRRESISTIBLE” peppered all over the page with the message about “The biggest mistake women make that kill’s a man’s attraction”. Really? You couldn’t find a better ad pairing than this?